Healthcare is changing at such a rapid rate that it’s making brands and providers wonder: what’s up, doc? Since it can be hard to keep your finger on the pulse of these healthcare changes, MDG Advertising examined the latest industry insights from a variety of trusted sources to highlight the trends and tools that will redefine healthcare in 2015. These cover the marketing, digital experience, and consumer needs in healthcare to help medical and pharmaceutical professionals improve the health of their businesses. To help put these predictions into practice, this forecast features opportunities and options to turn these shifts into strategies. 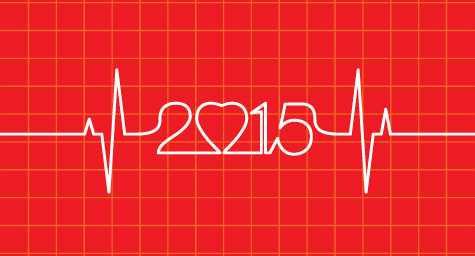 For a dose of marketing wisdom, take a look at these healthcare trends for 2015. Almost three-quarters of consumers turn to the Web first for answers to health questions, according to research from GSW Worldwide. This means that there is a huge market just waiting on the Web to be captured by valuable information about healthcare brands and products. And since online ads offer few facts and are often overlooked by consumers, many healthcare marketers are creating compelling content to gain more of these individuals’ time and attention. Some of the most successful brands have developed consumer-focused, data-based content that offers expert advice, shares real-life customer experiences, and invites consumers to connect with fellow patients in an online community. The key is creating content that responds to consumers’ needs and resonates with their personal journeys. Mobile tools have gained momentum in healthcare by letting consumers take their health into their own hands. According to the American Marketing Association, a growing number of consumers have been using mobile devices to monitor their fitness levels, weight, heart rate, and other vital signs as they strive to manage chronic diseases. In 2015, healthcare marketers will need to develop more mobile ways to engage these empowered consumers to earn their trust and business. In addition, mobile will become the primary driver of communication between providers within healthcare systems in the coming year. These mobile means will enable doctors to virtually diagnose health concerns, provide treatment recommendations, and offer specialist referrals to put faster treatment and greater savings all at patients’ fingertips. Mobile goes hand-in-hand with the power of local advertising and lets healthcare marketers and practices use proximity-based tactics. Thanks to new technology, it’s simple to send targeted content and customized coupons to the smartphones of people in a certain location. With research from GSW Worldwide showing that 62% of consumers share local deals with friends and that 57% are more likely to engage with location-based ads, it’s clear that local advertising will be a valuable vehicle for healthcare marketing in 2015. While ads were traditionally made months in advance, the new era of “instant advertising” is changing ads from intended to impromptu. This shift has been spurred by social media and the success of spur-of-the-moment ads. Brands started to leverage live events by crafting real-time responses that connected their brands to sudden opportunities. These spontaneous responses spoke to consumers, who socially shared and retweeted them in record-breaking numbers. In addition to giving brands enormous exposure, this saved months of costly planning and eliminated high media fees. To create instant advertising, it all comes down to context and content. They key is having a marketing team that stays on top of timely events and can craft off-the-cuff tie-ins. Social media is the perfect fit and forum for healthcare marketing because both revolve around personal matters. And with consumers more empowered than ever to want a voice in their healthcare choices, millions are flocking to social media to share feedback and support. As a result, EconomicVoice.com reports that healthcare brands are following their lead to these forums to stay connected to customers, engage prospective patients, post content on their products, and build buzz about their brands. The goal of this social engagement is to earn patients’ trust and preference in their brands and practices. Since social media provides consumers with a personal say in their healthcare and a personal connection with brands, social media is expected to stay a major trend in healthcare marketing. Set up a Google+ business page and make sure that all information accurately represents the practice. Verify the page and encourage patients to post their reviews. Promote the online listing by requesting reviews from patients through all current communication channels, such as direct mail, email, social media, and simple word-of-mouth. More and more big brands have been using in-market testing of incomplete products with great success. They conduct focus groups to randomly test various product options and collect consumer feedback. The results speak for themselves with companies whose conversion rates have improved over the past year performing about 50% more tests than brands whose rates have stayed stagnant, according to Econsultancy research. This tactic will redefine research in 2015 by shifting decisions from executives’ minds into consumers’ hands. In 2015, the way to play to the healthcare market is through the “play” button. Since branded healthcare content can be long and time-consuming to read, many brands will make their messages short and sweet by putting them into online videos. The popularity of online videos has been rising right along with mobile usage. In fact, the explosion of such mobile usage has resulted in 60% of U.S. digital media time now being spent on smartphones and tablets, according to comScore data. To make digital content more mobile friendly, many advertisers have been condensing their messages into easily viewable videos that consumers can watch on the go. And many more marketers will surely follow their lead as mobile remains the dominant digital platform in the coming years. Healthcare may be in flux, but that doesn’t mean that brands and providers can’t be in sync with the leading trends for 2015. With these insights as a guide, healthcare brands and practices can develop well-focused marketing strategies to improve the health of their businesses in the coming year and beyond. Treat your healthcare business to a healthier marketing strategy. Contact MDG Advertising. MDG Advertising, a full-service advertising agency with offices in Boca Raton and New York City, is one of Florida’s top healthcare marketing companies and branding firms, whose healthcare clients include Dental Care Alliance, MDVIP, Max Planck Florida Institute, HCA East Florida, Primary Pharmaceuticals, and MD Now. MDG’s core capabilities include branding, logo design, print advertising, digital marketing, mobile marketing, email marketing, media planning and buying, radio and TV advertising, outdoor, newspaper, video marketing, infographic development, Web design and development, content marketing, social media marketing, and SEO. To learn more about the latest trends in healthcare marketing, contact MDG Advertising.